View a Door on My Home. Click photo to get started. All City Garage Door is your Garage Door specialist! 90% of service calls are diagnosed over the phone - for FREE! 253-639-4700 - How can we help you? This takes care of 90% of garage door issue’s – your door needs this every 2-3 years Have a 2nd or 3rd garage door service for only $29.99. Call us today! Liftmaster 8550W Elite Series® DC Battery Backup Belt Drive - $499 installed! Smart, Safe and Quiet. This special includes - Professional installation of a MyQ-Enabled 8550 Opener, 2 remotes 1 keypad, a 800 newton battery, and has a built in Wi-Fi. 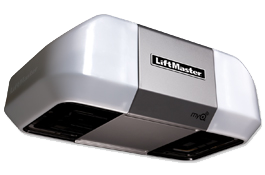 Premium Series - LiftMaster 8355 1/2 HP AC Belt Drive Garage Door Opener - $449 installed! Smart, Safe and Quiet. This special includes - Professional installation of a MyQ-Enabled 8355 Garage Door Opener with 2 remotes, 1 keypad. 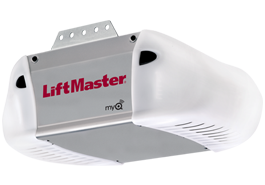 Premium Series - LiftMaster 8365 1/2 HP AC Chain Drive Garage Door Opener - $399 installed! Economy model. This special includes - Professional installation and 2 remotes, 1 keypad. This special includes - Professional installation and 2 remotes, 1 keypad.